Few things in life are quite as fulfilling as selecting a plan to build your dream home. Imagine watching your home come to life with the guidance of expert custom home builders. Scott Donogh Homes is proud of their ability to help turn clients’ dreams into a reality by custom home construction. With fine homebuilding skills, this result in high-quality luxury custom homes that are met to their clients’ preferences. Whether you have a clear vision of what you want or only a vague idea of how you expect your custom home to look, we will be happy to meet with you and give you our professional advice. We are a full-service custom home builder, which means that we will walk you through every step in the planning and house construction process until your dream home is fully completed. Not only will we be with you the whole way, but our building process is simple and straightforward. 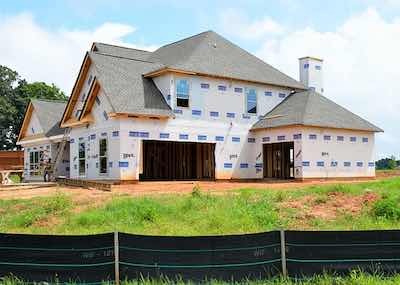 We take a proactive approach when building custom homes so that our clients do not have to put their lives on hold until their homes are completed. When you trust us with your build, we will shoulder the bulk of the responsibility to ensure that you have a pleasant and enjoyable experience. How Long Will It Take To Build a Custom Home? The Seattle housing market is hot, and even in this market we can provide you with our reliable construction schedule. Our clients can expect their dream home in 4-8 months. To avoid delays, we always establish efficient home building plans and pick out all required materials prior to beginning construction. Don’t want to wait that long, see the new homes we have available now. We offer tile packages, lighting packages and model homes either from a specific package or tailored to fit your needs. Our goal is to provide superior product packages that will enhance the interior appeal of your new custom home. Our comprehensive design planning and home construction process gives our experienced architects the freedom to exercise architectural creativity and directly impact the design of each custom home we construct. Our talented team of designers, craftsmen, home builders, project managers and architects apply their fine homebuilding skills to every house from start to finish. Your luxurious dream home could become a reality in a matter of months if you call us today. Receive a no-obligation consultation and find out how to get started by contacting us.